I love Butterflies and I love purple so here is another card featuring both. I stamped the butterflies to form a circle by stamping at north, south, east and west points, then masking and stamping inbetween. 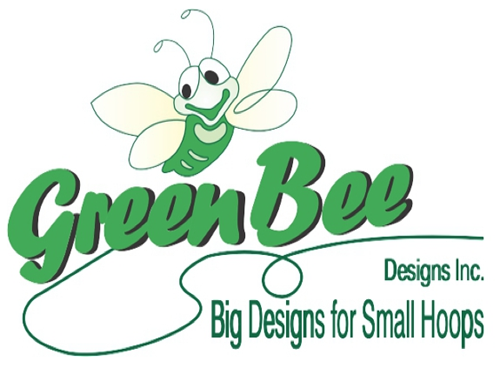 It is more effective when using a variegated inkpad or inking the stamp with 2 shades of colour. I stamped the butterfly in each corner and paper pricked the areas inbetween. 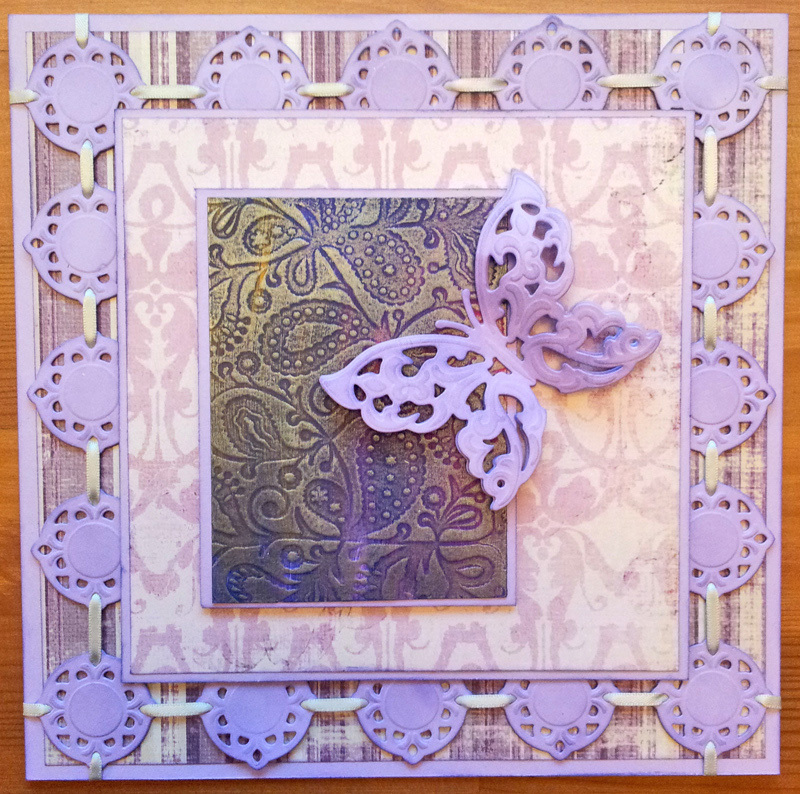 Simple matting and layering and with the addition of a double layered spellbinders butterfly the card is finished. One last tip …. It is always worth remembering to remove any pencil marks before sending …. ooops! 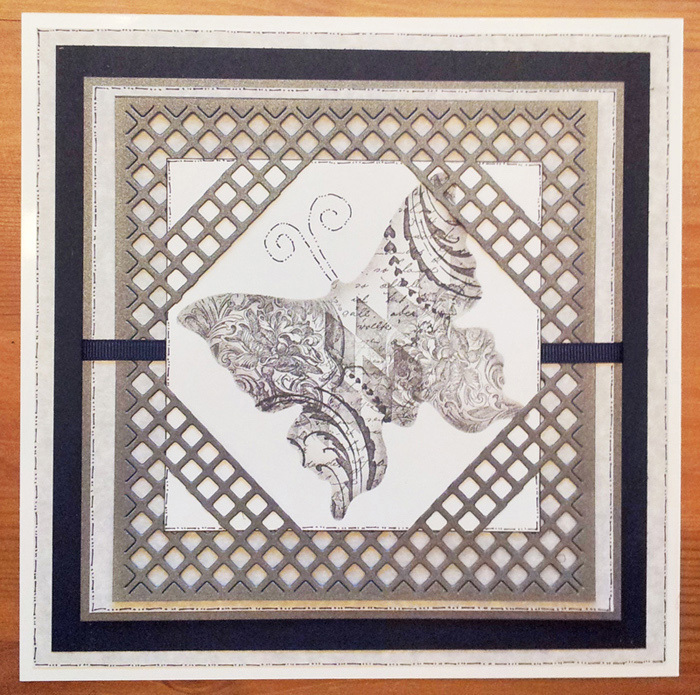 This entry was posted in Uncategorized and tagged Butterfly card, Butterfly stamping, mask stamping, stamping in a circle on May 29, 2013 by blackflowercreative. 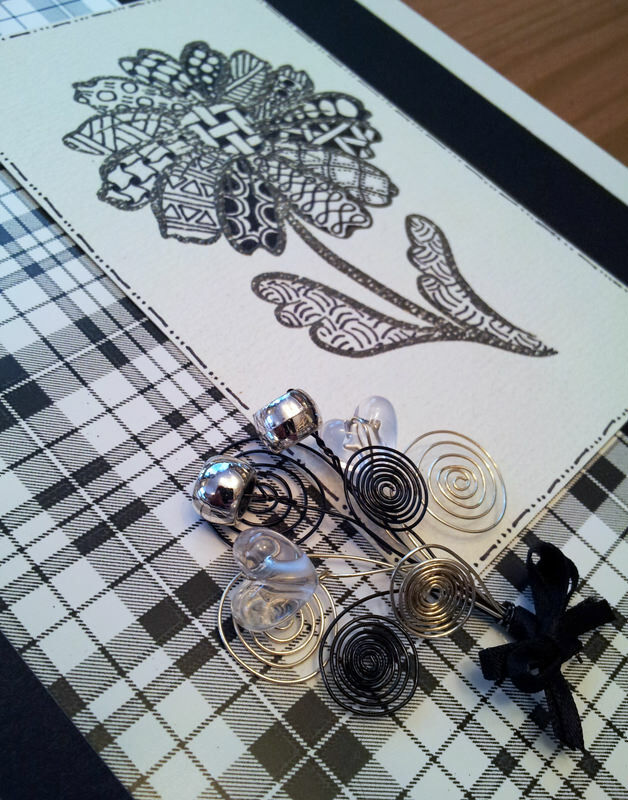 The main topper on this card features the very beautiful zentangle, which I am so pleased is becoming more popular. I love it and find it so relaxing to do after a hectic day. I stamped the image in black and filled in each petal and leaf using a different tangle. I finished the topper with my usual detailing around the edge and with the addition of some co-ordinating backing paper and a wire & bead embellishment I had previously made, the card is finished. 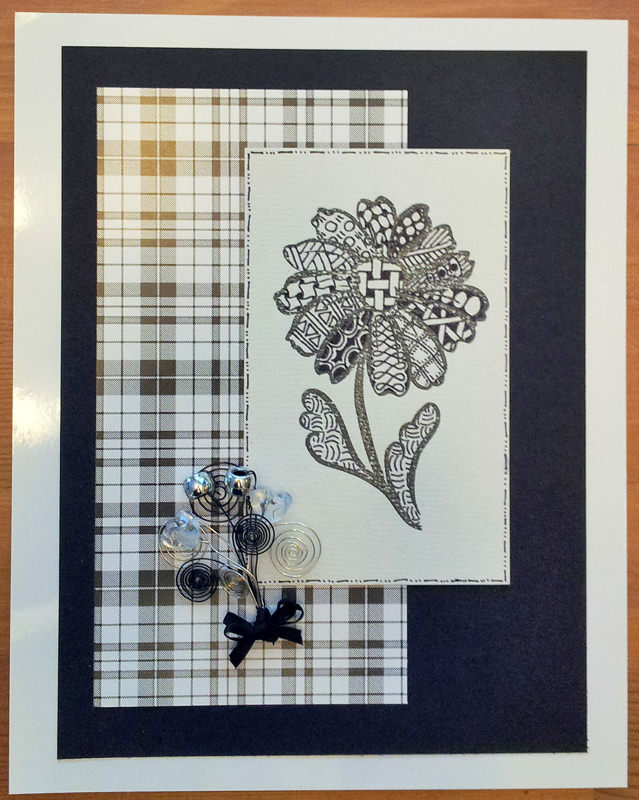 This entry was posted in Uncategorized and tagged flower card, Zentangle flower on May 20, 2013 by blackflowercreative. 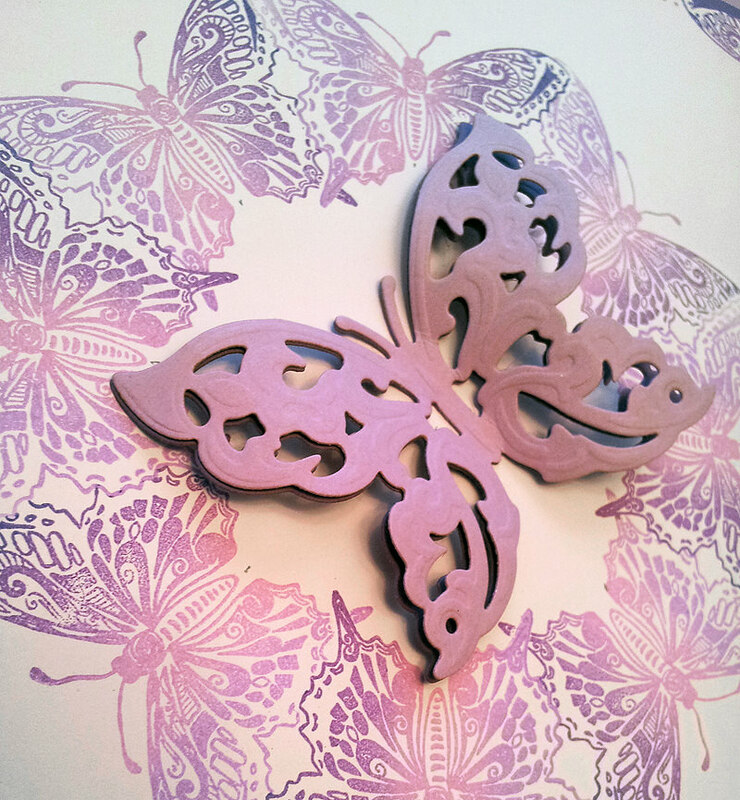 The butterfly is collage stamped using 4 different stamps through a butterfly shaped aperture cut using spellbinders. Then having cut a spellbinders lattice, certain sections were snipped so the butterfly would feed through like photo corners and to finish some simple matting and layering with added definition on the white layers. 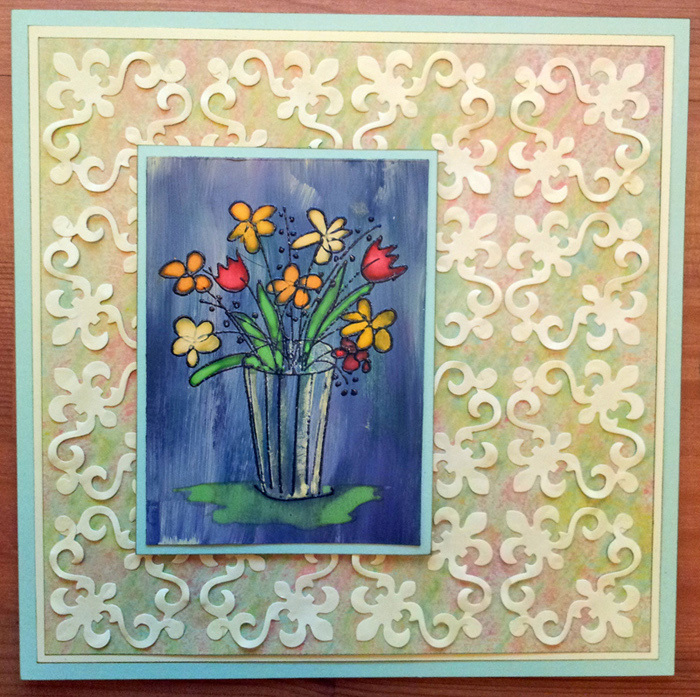 The basis for this card is simple spellbinder elements in lilac. The topper which the butterfly sits on was firstly painted with assorted acrylic paint, embossed with a spellbinder embossing plate and gold rub-on to highlight the detail. The spellbinder accent was cut 16 times and strung together with ribbon and layered onto background paper. 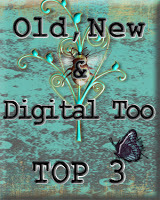 The floral topper was created by stamping onto an acrylic background and further colouring added with watercolours. The background was created similarly to the Lilac Butterfly in that the corner was cut repeatedly and positioned to create a repeating pattern onto background paper. 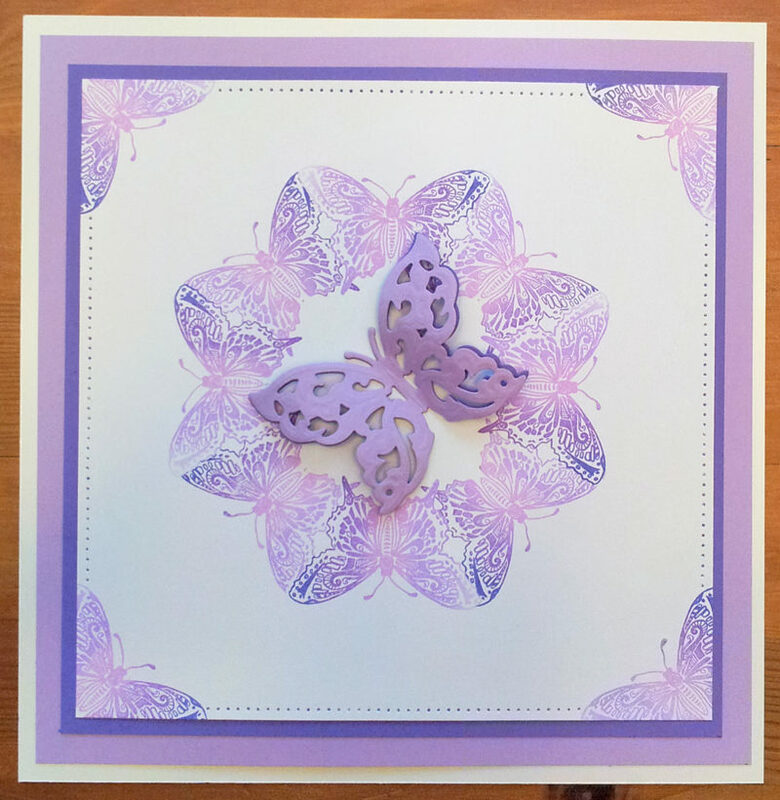 This card was created by using the faux embossed effect in that an element is layered onto a backing of the same colour; the Sizzix flourish and the Spellbinders lattice. With the addition of a Sizzix body and letters I think this makes a suitable contender for many male related events. 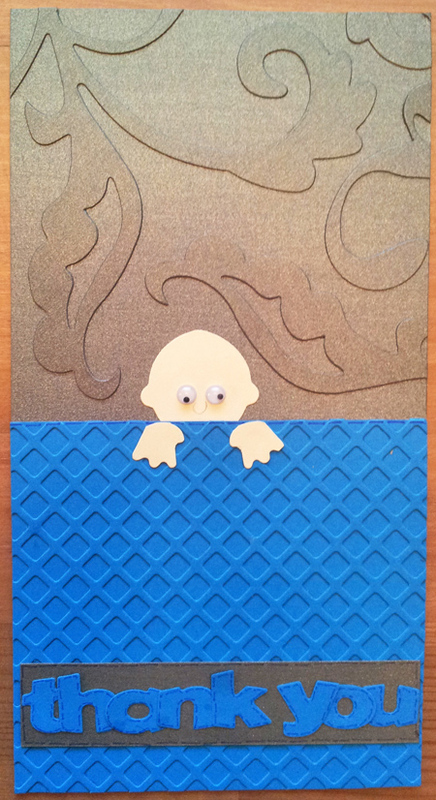 I actually used this for Teacher Thank You cards hence the cheeky chappie peeping! This entry was posted in Uncategorized and tagged cardmaking, cards, craft, papercraft on May 9, 2013 by blackflowercreative.